Engaged or married and don't like wearing your bling while working clinically? 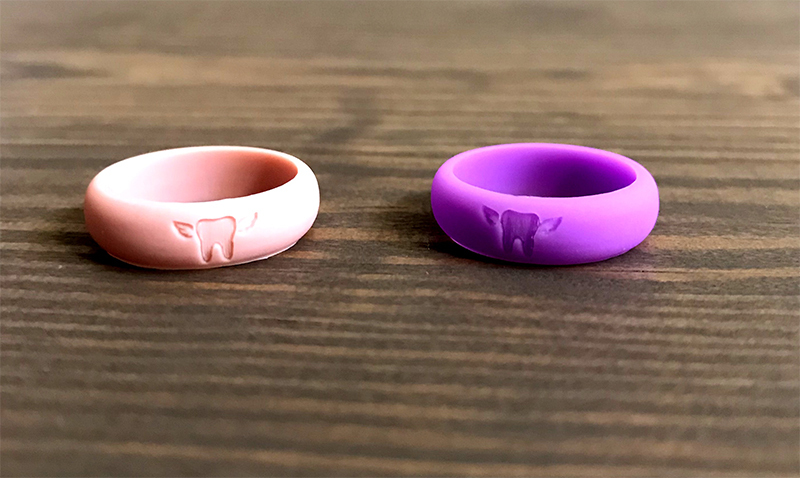 Silcone rings are the newest trend among medical and dental professionals and now is your chance to wear one with your tooth loving pride! Bands stretch, so no half sizes available. Limited quantities available. Shipping is only $4.99 total.